It seems like I've had this post in the back of my mind forever to write up. 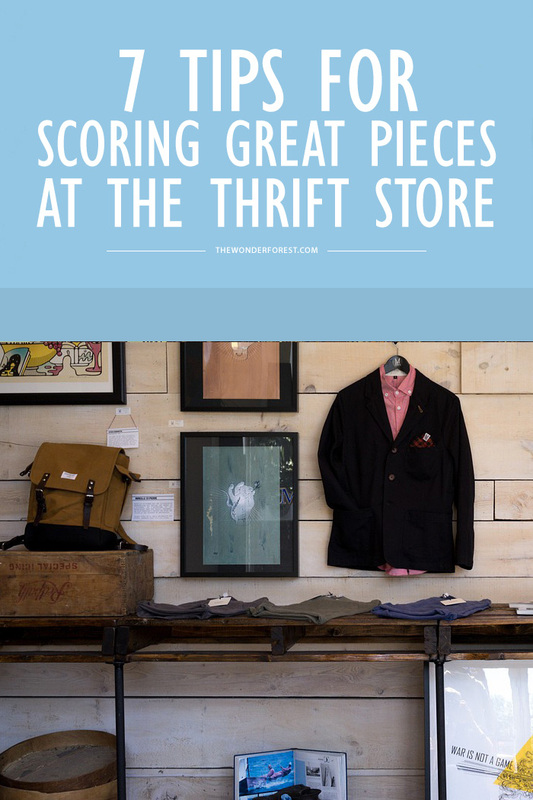 How to find great pieces at the thrift store is probably the #1 question I get from you guys, so it's about time I spilled all my secrets! I shared my top seven tips and tricks on the lovely Wonder Forest-- a site of collective contributors writing about blogging, fashion, décor, lifestyle, and more. There's tons of helpful articles to check out (I especially loved this SEO one I took notes on for my new job), so feel free to drop by and explore around. So cool! I love thrift store shopping, although it does take time. I will certainly be referring back to it in the future!